Thanks so much and have a lovely week! Isabella it is always lovely to see a new designer, Cassandra has done a beautiful job. Very interesting saying. So funny design!Nice to meet Cassandra!! ma che caruccio è? mi fa troppo sorridere quel diavoletto con lo spaventapasseri! mooooooooolto halloween! ebbrava sandyna!!!! 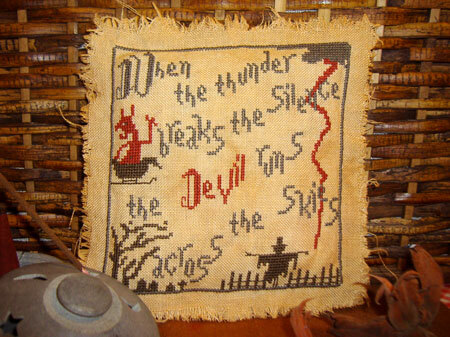 what a wonderful proverb - and what a "scary" design. It is wonderful. The color combination is perfect! This is a very oryginal project! Hugs from Poland!